In this article , i will describe that what is API? what is API Testing? and an overview of API. basically an API specifies how software components should interact. It consists of a set of routines, protocols and tools for building the Software Application. API essentialy a library of functions, data structure and classes used by the developer to perform a specific task such a drawing a window and posting a comment etc. Each time when you use an app like Twiiter, Facebook, send an instant message, or check the weather on your phone, you are using an API. When we use an applicaton on our mobile phone, the application connects to the internet and sends data to a server, then the server retrives that data, interprets it, perform the necessary actions and sends it back to our phone. The application then interprets that data and presents you with the information you wanted in a readable way. This is that an API is - all of this happens via API. YouTube API : Google's APIs lets developers integrate YouTube videos and functionality into websites or applications. Amazon Product Advertising API: Amazon's Product Advertising API gives developers access to Amazon's product selection and discovery functionality to advertise Amazon products to monetize a website. What is API Testing ? As like other kinds of testing, API testing also is intended to reveal bugs : inconsistencies or deviations from the expected behaviour. Continuous testing is also very important to make sure it continues to work when the public has access to it. API testing is one of the most challenging parts of the chain of software and QA testing because it works to assure that our digital lives run in an increasingly seamless and efficient manner. API testing as a part of integration testing to determine if they meet expectations for functionalit, reliability, performance and security. 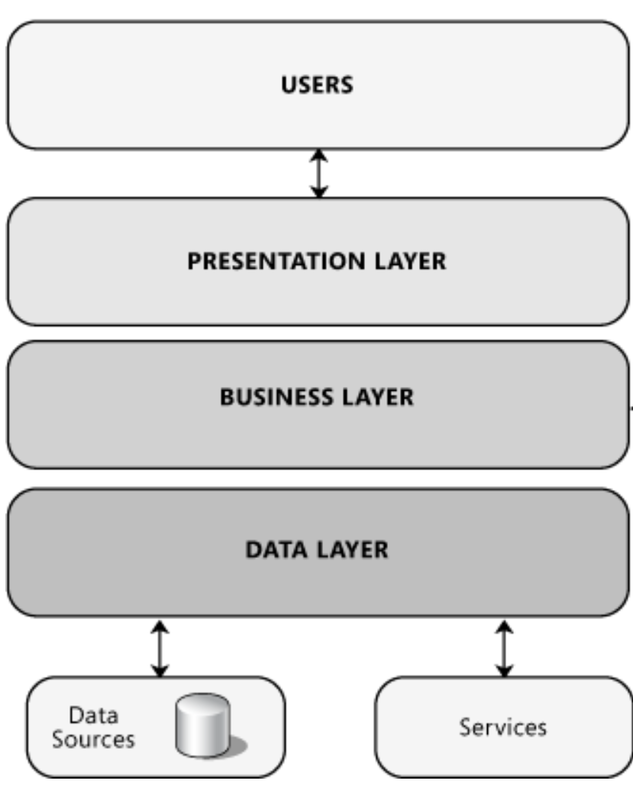 Presentation layer: This layer contains the user oriented functionality responsible for managing user interaction with the system, and generally consists of components that provide a common bridge into the core business logic encapsulated in the business layer. 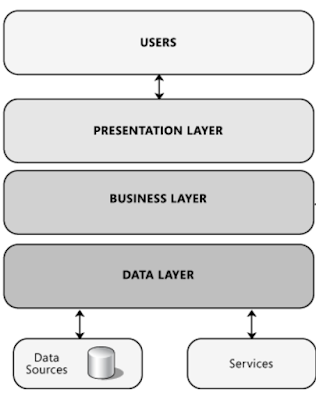 Business layer: This layer implements the core functionality of the system, and encapsulates the relevant business logic. It generally consists of components, some of which may expose service interfaces that other callers can use. Data layer: This layer provides access to data hosted within the boundaries of the system, and data exposed by other networked systems; perhaps accessed through services. Api testing is mainly exist on the business logic layer of the software architecture. Remember : Api testing won't focus on the look and feel of an application. Important Point : API Testing is not either black box or white box basically its both black and white. API testing is now considered critical for automation testing because APIs now serve as the primary interface to application logic and because GUI tests are difficult to maintain with the shortrelease cycles and frequent changes commonly used with agile Software Development and Devops. Functional Testing : Incluse test case definition, execution, validation and regression testing. Runtime error detection : Monitoring an application the execution of automated or manual tests to expose problems such as race conditions, exceptions and resource leaks. Security testing : Include penetration testing and fuzz testing as well as validation authentication, encryption and access control. Interoreability testing -(SOAP only) checking conformance to web services Interoperability profiles. Response code like 404 (Not Found), 200(OK) etc. HTTPS request are not working. 1).Setup : Initialize data, create objects, start services etc. 5).Clean up : Pre-test state. API testing benefits both the development and testing organization. Doesn't evaluate "look and feel"
1).First understand the funcationality of your API program and find the scope of this program. 2). Then simply apply your testing techniques like error guessing, input parameters , boundary value etc. 3). Now time have come to execute your test case & compare the result with expected results. Difference between Unit Testing and API testing. Key Points of API Testing. your explanation way is too good, very easy to understand for all readers. Thank you for providing the best details and I want more unique posts. It is very interesting and i like it. Thank you for the informations.